Photo Gallery #52: Click edit pencil to get the selected gallery name. 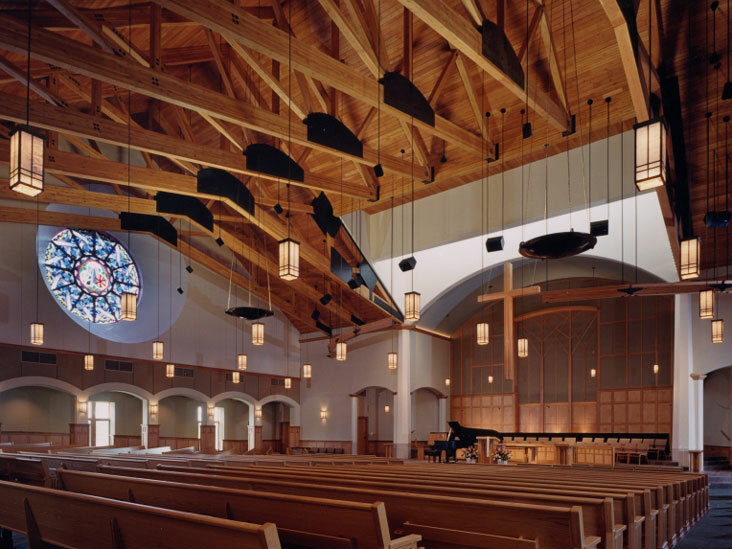 Project: Crossroads Presbyterian Church, Mequon, Wis. Architect: The Kubala Washatko Architects, Inc.
Fixture: Two custom indirect pendants were designed to illuminate the timber-framed ceiling. Custom Prairie-style pendants and sconces provide ample light over the pews and work in harmony with the building’s architectural style.